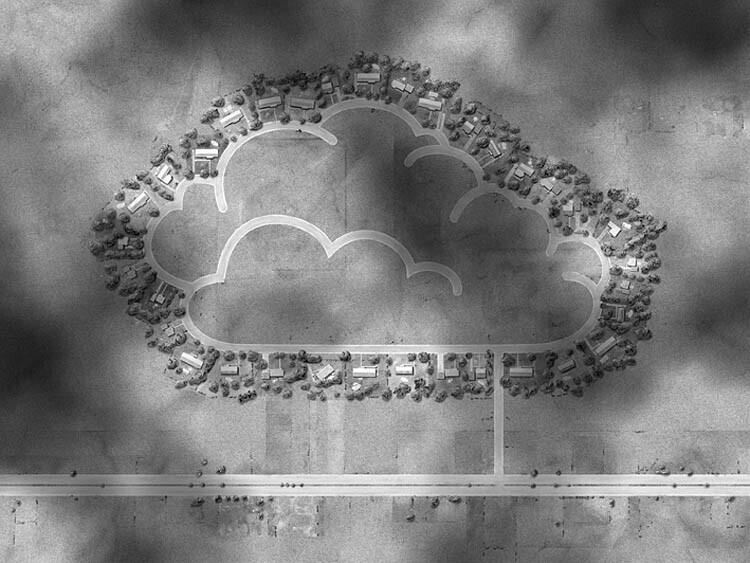 Originally from Montreal, but now living and working in New York, Ross Racine creates aerial views of fictional suburbs by drawing freehand directly on a computer. It’s hard to believe, but his works do not contain photographs or scanned material. Racine’s work is full of surprising opposites: handmade and digital, organic and mechanical, physical and virtual. 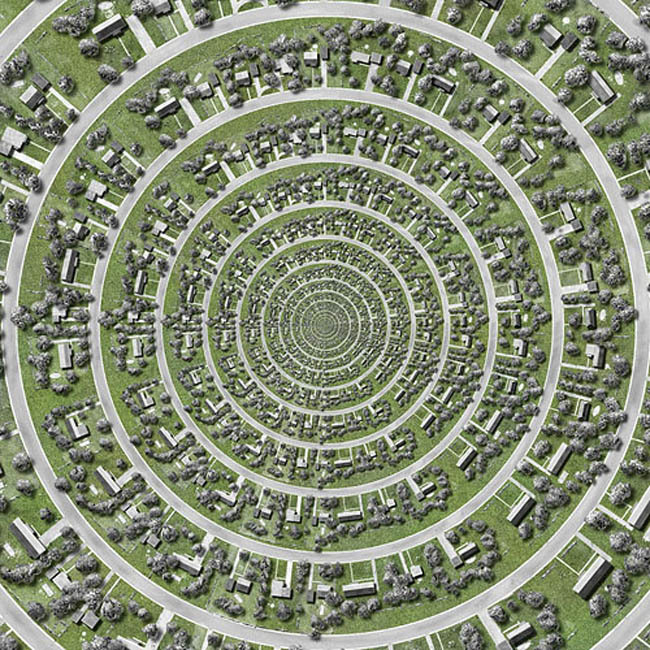 The typically labyrinthine landscapes are super-sized in Racine’s versions, in some cases taking on a humorously monstrous quality, in contrast to the generic naming conventions such as Hummingbird Bend, Heavenly Heights, or Sunshine Acres; a playful way to critique and re-examine urban planning. 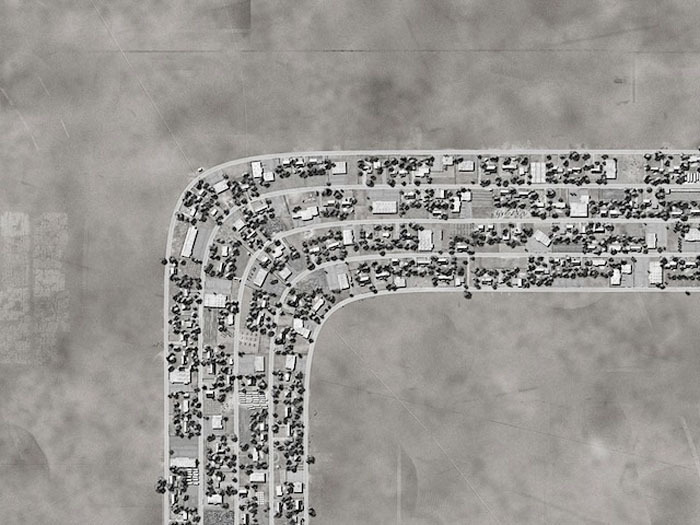 You can see more of Ross Racine’s aerial view drawings here and here.